Bloodborne pathogens course contents are written by a team of U.S. licensed board certified medical doctors. Authorized board certified doctor signed all certificates and wallet cards. American Academy offers complete coursework on bloodborne pathogens (BBP). This free online course teaches the proper handling of blood and the steps for minimizing risk of exposure. Certification is also available for a small fee upon passing the 20-question multiple-choice exam. 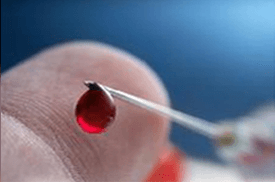 While many people think that medical professionals are exposed to diseases of the blood on a day-to-day basis, the fact is that people can be exposed to bloodborne pathogens at any time. According to Wikipedia, some of the most common diseases of this category are Hepatitis B, HIV, and Hepatitis C. People who are exposed to these diseases run the risk of infection. 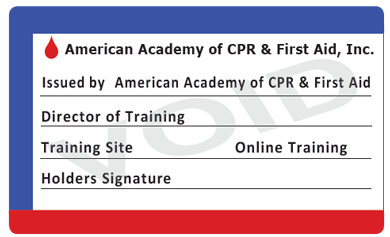 Free Bloodborne Pathogens training may sound too good to be true, but the American Academy of CPR and First Aid Inc. has been offering the coursework for years to healthcare professionals and others who need to learn proper techniques that meet the strict guidelines of OSHA's Bloodborne Pathogens Standard 29 CFR 1910. 1030 . American Academy's free Bloodborne Pathogens course is a comprehensive overview of a variety of topics. Who should get bloodborne pathogens training and certification. A bloodborne pathogen is a disease or virus that is carried through the blood. Many healthcare professionals are required to undergo bloodborne pathogens training in order to ensure a healthy work environment, patient privacy, and general safety. Those who work in blood banks, hospitals, nursing homes, and other medical settings are often required to obtain certification before handling blood. American Academy's bloodborne pathogens training provides knowledge about common Bloodborne Pathogens (BBP), general precautions for handling human blood products, the processes and procedures for dealing with exposure to blood, how to identify hazardous organisms and how to limit your risk of exposure. Also included are procedures on how to handle equipment used in drawing and storing blood, as well as the basics of what Bloodborne Pathogens (BBP)'s are, how they affect the body, and the risks they can pose. Users of American Academy's training benefit in several ways, making it a wise decision for anyone who is being certified for the Bloodborne Pathogens first time as well as professionals who are seeking recertification for Bloodborne Pathogens. A Bloodborne Pathogens certificate can be printed immediately after passing the exam. 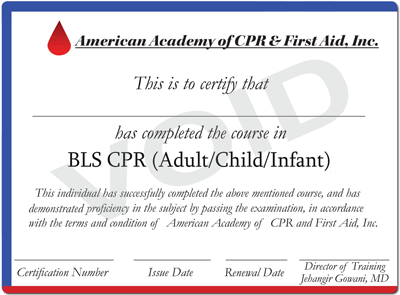 Pay just $14.99 for the first certificate, $12 for a second one and $6 per certification thereafter. Be compliant with the Occupational Safety and Health Administration's Bloodborne Pathogens Standard 29 CFR 1910. 1030. American Academy's bloodborne pathogens training is highly regarded as one of the most vital certifications available, particularly for those who work in the healthcare industry or are frequently exposed to individuals who may have an illness or condition that is transmitted through blood exposure. It is so easy to sign up and complete the training that you will wonder why you did not take your courses online in the past. Fortunately, we now offer a complete line-up of health courses , including AED, CPR, and First Aid courses online . 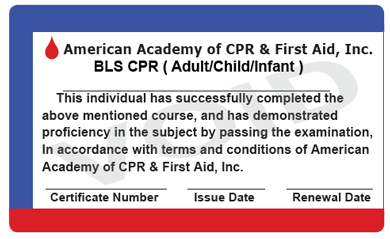 The American Academy of CPR and First Aid Inc. looks forward to becoming your instructor so that you can eliminate the dangers of Bloodborne Pathogens (BBP) exposure in any situation. Learn from licensed medical professionals who have developed this course. 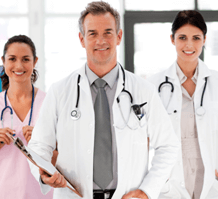 All types of industries have counted on American Academy for its Bloodborne pathogens training. This includes employees in the medical, hospitality, government, education, entertainment, hotel, restaurant, school, government, construction, training, tattoo artistry, and fitness sectors.